Recently eBay come out with 9 hours delivery in India, now a days the receiving time of products are very much reduced and people are willing to pay more for fast delivery. So what will happen you receive an item which you were planning to buy before even you placed an order ? Amazon is planning it. Amazon plans to ship the products before you purchase it. 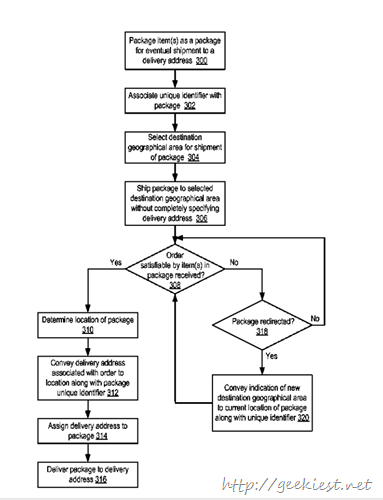 Amazon received a patent on December 2013, named “Method and System for Anticipatory Package Shipping”. This is a system which will allow Amazon to ship packages which you haven't ordered, but those you are interested in. This is a system which will allow Amazon to ship packages which you haven't ordered, but those you are interested in. The item selection will be based on things like your previous orders, items in your wish list, your search history and also even the cursor over time for products. The selected products will be shipped and can wait on the company’s hubs which can be a moving or static one. The flow chart below from the patent shows how it works. Amazon will be shipping it with a partial address, and will be completing this when they will find the needed one. This method may bring so many issues like unwanted deliveries, product returns etc. 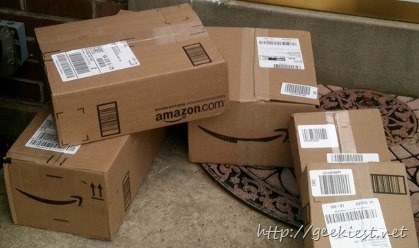 But amazon plans to deliver things as complimentary gifts to increase the goodwill of the company. What do you think about this method, will it be a success? please share your thoughts with us.